September 21, 22, 23, 2018. 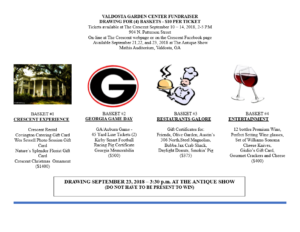 It will be held at Mathis Auditorium, 2300 North Ashley Street, Valdosta, Georgia. Tickets are $5 advance / $7.00 at the door For sale at the M-F, Crescent 2-5 p.m. 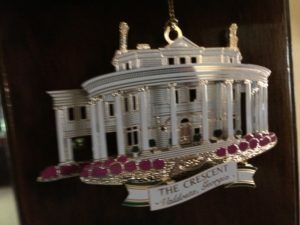 The beautiful hanging Heirloom Keepsake of the Crescent will be on sale at the Antique Show.